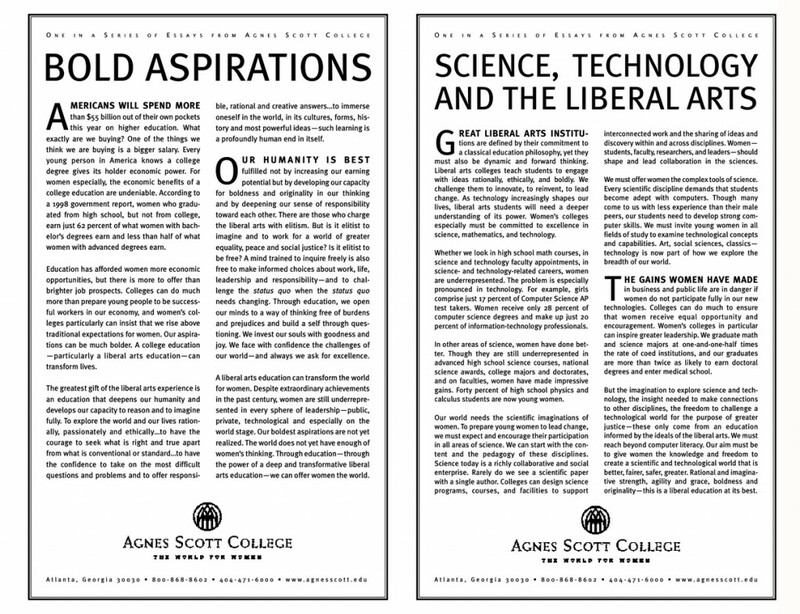 Part of a unique institutional branding project, we developed these editorials for Agnes Scott College after extensive interviews with key College stakeholders. They express this unique College’s values and ambitions. Although this is a small, all-women’s Atlanta-area institution, theses editorials were placed on The New York Times editorial page—a bold demonstration of the College’s aspirations—in advance of a campaign kick-off. The editorials created great excitement among alumnae and set the stage for a highly successful campaign. The essays were also placed in other media and re-purposed in a series of print communications.